The always meticulous actor practised for months to perfect his performance in the song from the movie ‘Kohinoor’. At the end of 1986, I filmed Dilip Kumar in his Pali Hill home talking about the movies for Channel 4 TV, UK. We sat in his lovely garden with its tall trees and overgrown bushes – a cacophony of bird sounds all around –while he mesmerised us with his views on filmmaking and the challenges he experienced performing songs on the screen. His quiet and soft voice demanded complete attention – I think he was one of the early actors who understood how to deliver a line and how to use the microphone to project his speaking voice instead of raising its volume. His commitment to getting things right was apparent in everything he said, and it is unsurprising that few Indian actors surpassed his reputation in the 1950s. The interview was conducted mainly in Urdu. Dilip Kumar: Playback waise to kuchh mushkil nahin hota, koi dikkat nahin hoti isme, jaise Madhumati mein jo gaane the vo aasaan the, Devdas mein bhi “Mitwa, laagire ye kaisi anbuj aag,” ye bhi aasaan tha —lekin kuchh gaane bade dikkat talab hote hain. Vo riyaaz mangte hain. 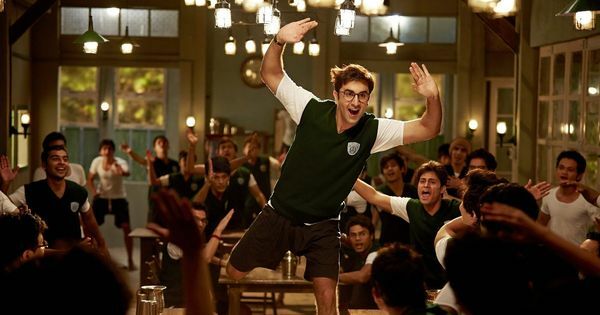 [Miming to playback is not difficult, take the songs in Madhumati or the Devdas song, Mitwa, Laagi Re Ye Kaise Anbuj Aag, they weren’t difficult to perform on the screen. But there are some songs that are difficult and require practice and preparation]. There was a song in Kohinoor by Naushad Ali, written by Shakeel Badayuni, Madhuban Mein Radhika Nache Re, and in this song there was a sitar passage which was very difficult. There was a tarana too – “O de na dir dir dha ni ta, dha re dim dim ta na na, na dir dir dha ni ta dha…” this song required a lot of practice and study. The director, SU Sunny, wanted to film this song early on in the shooting schedule. I requested them to wait till the end of the schedule so that I would have some months to practise. I studied the sitar for many months. But the sitar is a difficult instrument. It requires tremendous practice, focus and discipline. So songs like Madhuban Mein Radhika Naache Re are difficult but these are the ones that I have liked in my career. In fact, out of all my songs, this is a song I have particularly liked. Madhuban Mein Radhika Naacha Re, Kohinoor (1960). 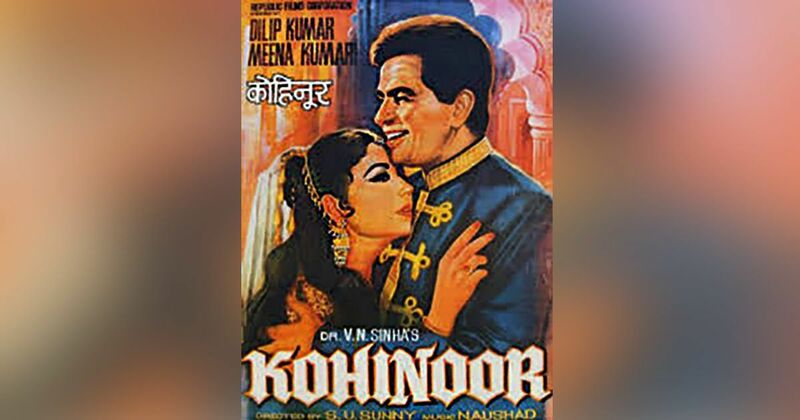 Zakir Hussain remembered that Dilip Kumar received six months of training from the celebrated sitarist Ustad Halim Jaffar Khan sahib prior to the filming of this Kohinoor song. When we see the clip of Madhuban Mein Radhika Naacha Re and come to the passage where Dilip Kumar plays his sitar solo, we can sense the total delight and subtle triumph on his face. His months of practice to play and to get the hand movements right had paid off magnificently.